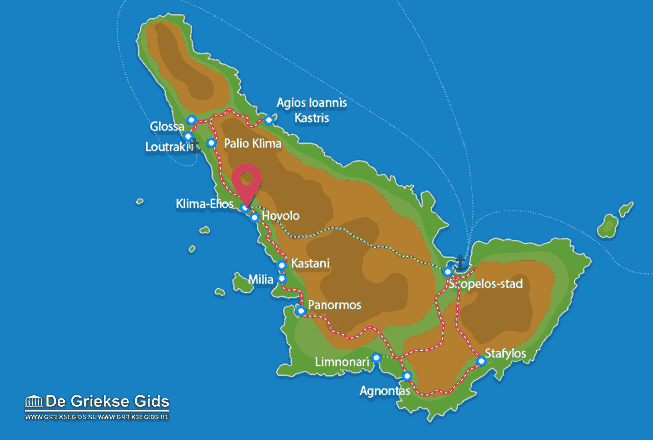 KLIMA-ELIOS. 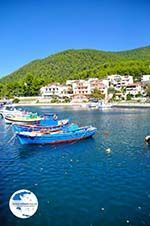 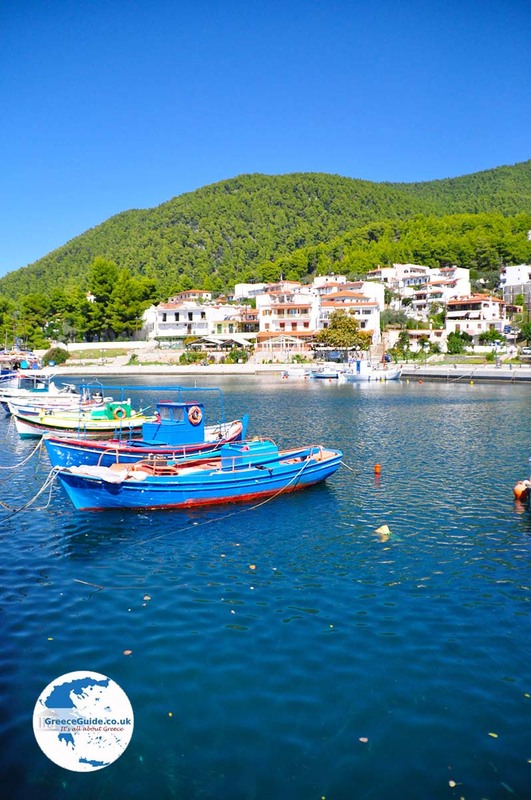 Klima Elios are two hamlets that make up a village in the middle of the western coast of the greek island of Skopelos. 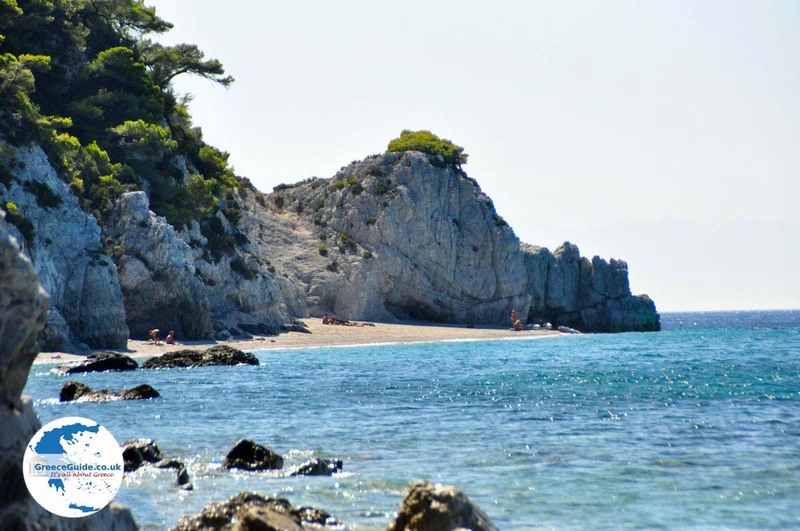 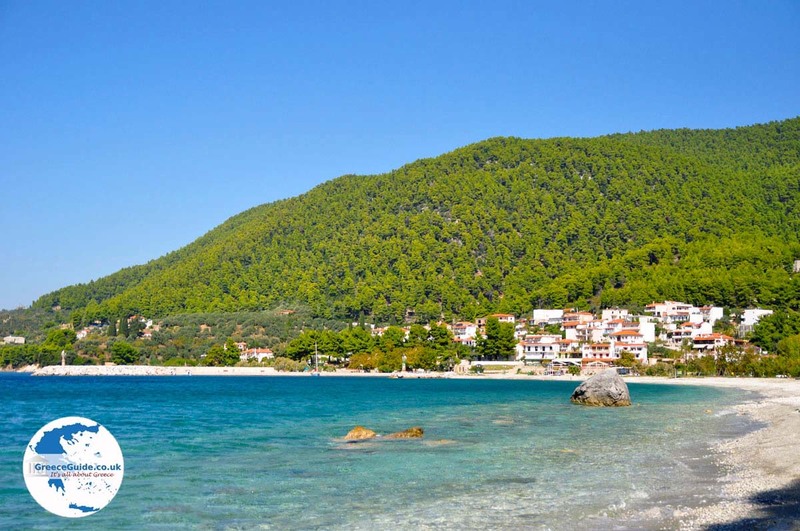 Klima Elios is located about a half-hour car ride from Skopelos town,at about sixteen kilometres. 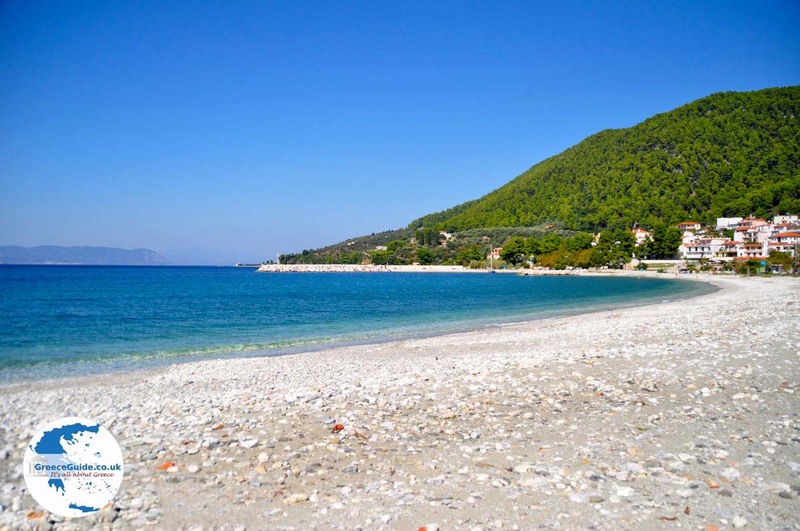 It stands on the lower slopes of a hill that runs down to the beach, surrounded by green forests. 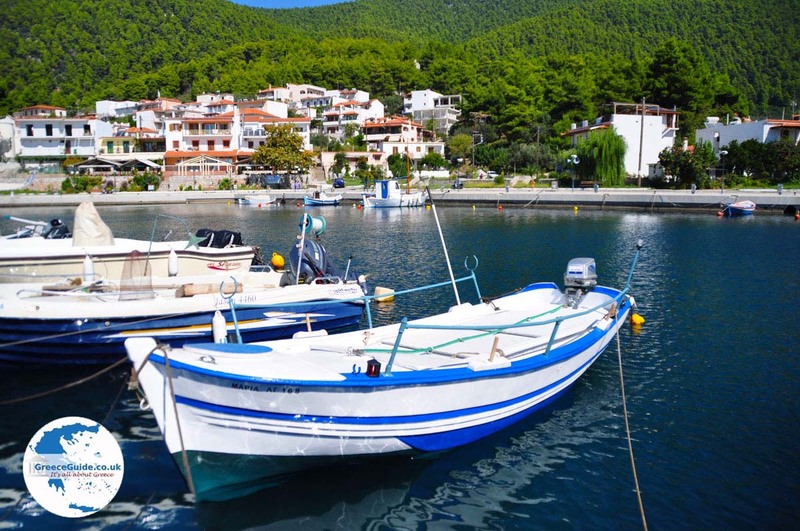 Along the coast is the port of the village where many boats moor. 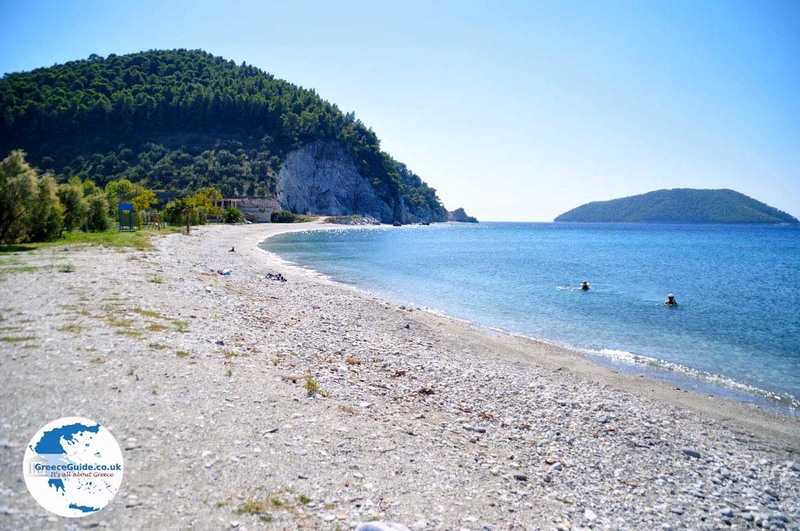 The beach is a large pebble beach but if you're heading south, walk a few hundred meters further and you will come to the nicest beach of the village, the beach of Hovolo.Through a narrow pebble beach it is right next to high cliffs. 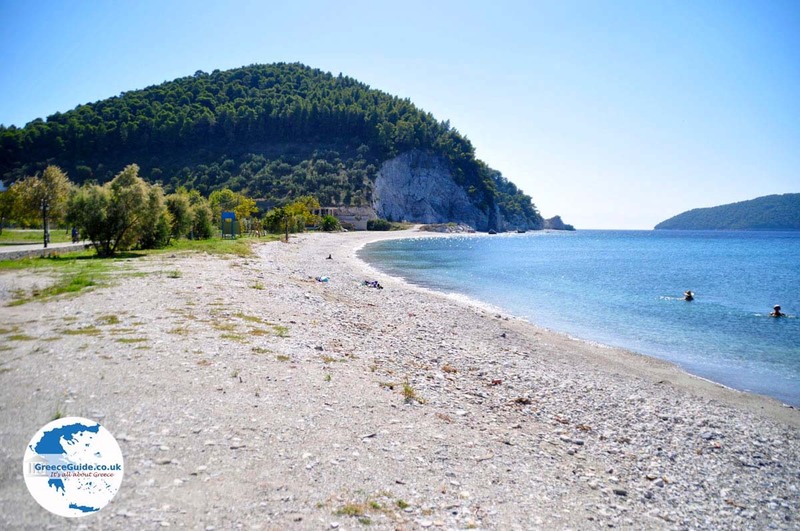 You can walk to Hovolo, a beach with tiny pebbles and sand. 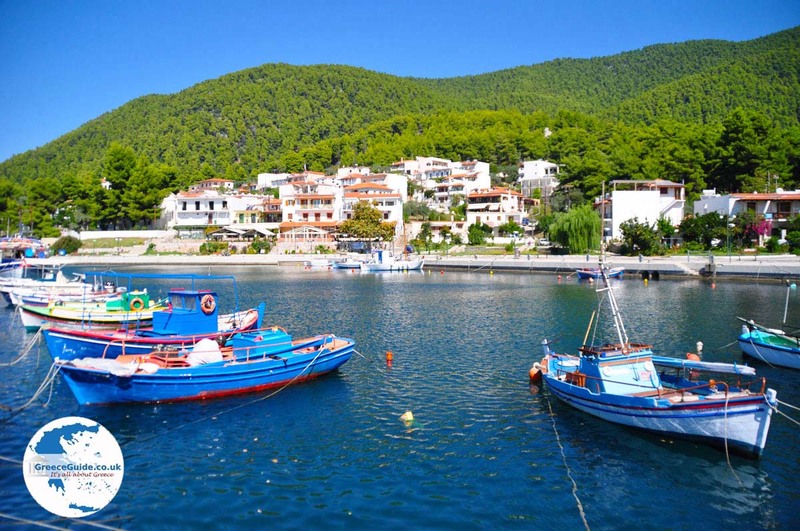 In Klima Elios live about five hundred permanent residents. 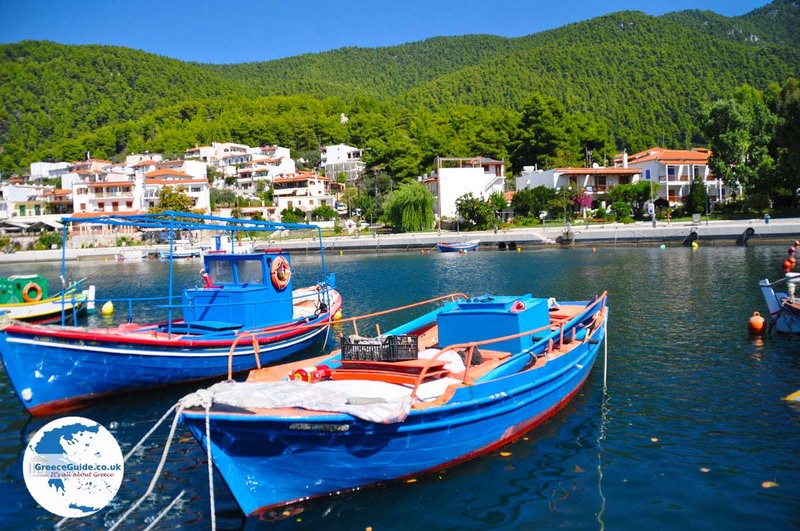 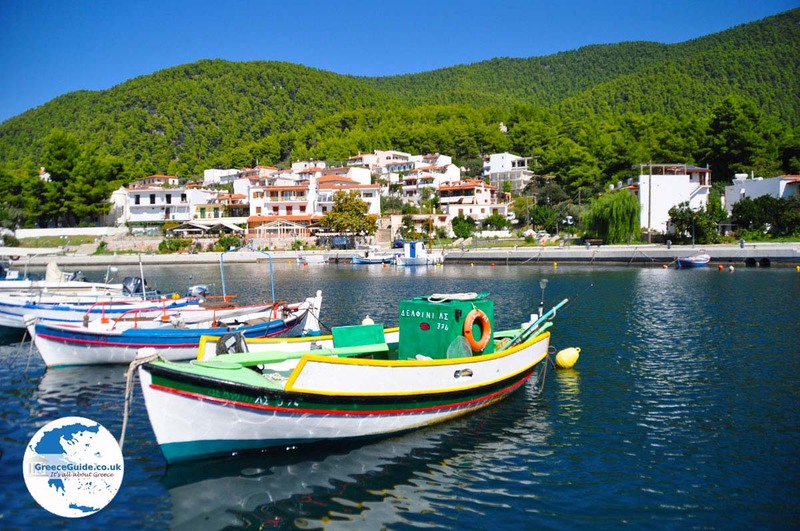 Skopelos: Where on the map is Klima-Elios located?